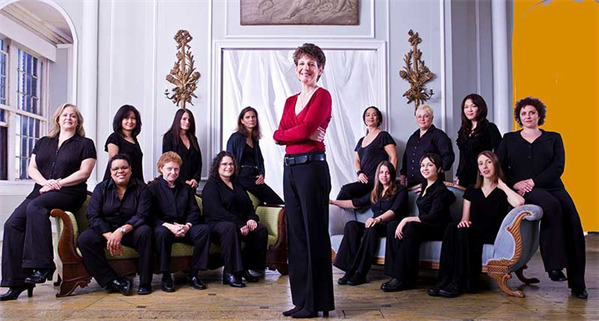 For 25 years, the DIVA Jazz Orchestra has toured the world to both critical and popular acclaim, performing with many of the most notable icons in jazz, playing music composed and arranged by some of the greatest writers in music. Now it's time to celebrate. As part of the 25th anniversary festivities, Sherrie and the band are hosting a trivia contest through ArtistShare. Follow ArtistShare on Twitter and when you see the hashtag #Diva25Trivia be the first to tweet a reply with the correct answer and you will receive exclusive access to the 25th Anniversary Project Download participant offer, compliments of the band. Hint: we will be posting every question on the following dates 6/14, 6/21, 6/28, 7/5, 7/12, 7/19 so if you miss one, be sure to mark your calendar for the next one. Winners will be contacted directly and announced here!